Russell Europe Men's Sports Shell 5000 Jacket this is a superior jacket that will last for many years. 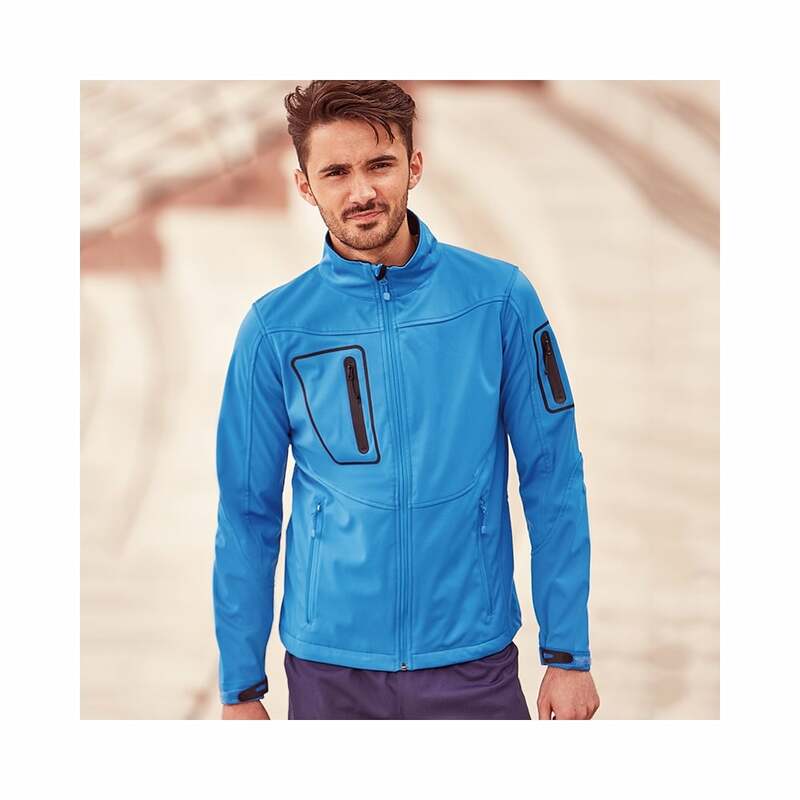 It is a water resistant garment that is also breathable and has an ergonomic shape making it ideal for high activity. It has articulated elbows, cool fit underarm panels, laser sealed pockets and waterproof zips. Easy to wear colours.